Happy birthday, my gorgeous sweet friend! I hope you have a wonderful day! And I love this photo of you and Juliette Miracle! xoxoxo!! Happy bday dear have a fab year ahead!! and thanks for your sweet comments! love the photos the kitty is so cute! Yay!!! Happy Birthday!!! I hope you have a wonderful day and night and year! And year after that! Happy happy birthday! I hope it's wonderful and fun! happy birthday, darling! have a fantastic day!!!!! 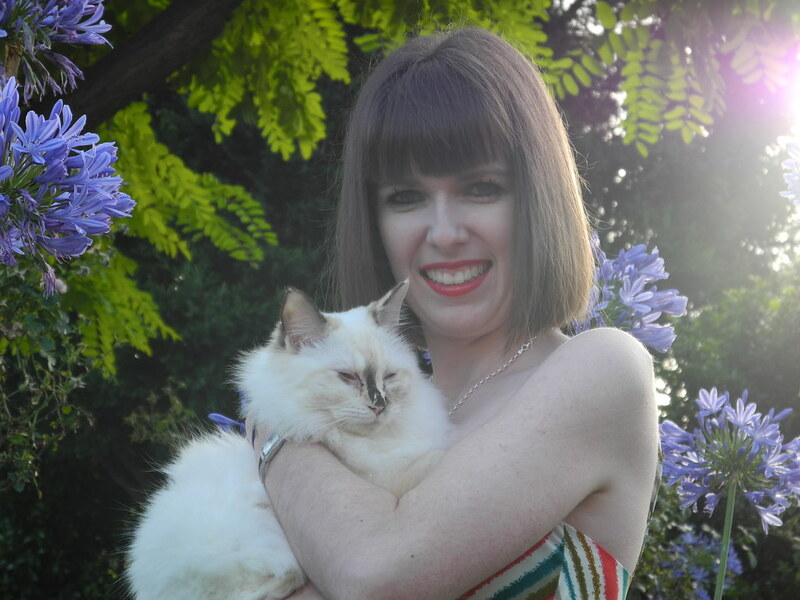 Such a great shoot, I really like it, you look great and your cat is simply adorable! love your pictures!! I hope you had a great b-day!! i love your cat! you and the cat are adorable! aww what a beautiful kitty, happy birthday!